Site: the largest and probably most famous Grand Cru, located between Valmur on the left and Blanchot on the right. The exposure is responsible for its generous and powerful character. History & tradition: it is the cradle of Chablis, already recognized by the medieval monks as a superb location for planting a vineyard. The term "Les Clos" (enclosure, in French) probably refers to the surrounding wall that they built to fence off the parcel. This wall is no longer in existence. At the end of the 19th Century the vineyard was devastated by the phylloxera disease. In the 1960's, Robert Drouhin was one of the first Beaune propriétaires to bring it back to life. Drouhin estate: 1.3 ha (3.212 acres). Average of the vines: 37 years. Soil maintenance: age-old methods. Plouging: "buttage" (hilling up around the vine-stocks) in autumn; "débuttage" (ploughing back in spring); work between the rows and the vine stocks done with manual tools only. Average yield at the Domaine: 43.2hl/ha (the yield currently authorized for the appellation is now 54hl/ha). 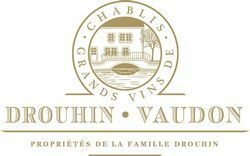 "A great wine, perhaps the one most able to express what the terroir of Chablis really is like. The colour is pale gold yellow, with greenish hints. Refined nose, with aromas of lily ("fleur de lys"), honey or preserved lemon. Astounding depth and velvety sensation ("gras") on the palate, with some delicate marine nuances. Intense and long aftertaste. After 5 or 6 years, even more complex and subtle aromas develop in the wine. A wine of incomparable finesse".